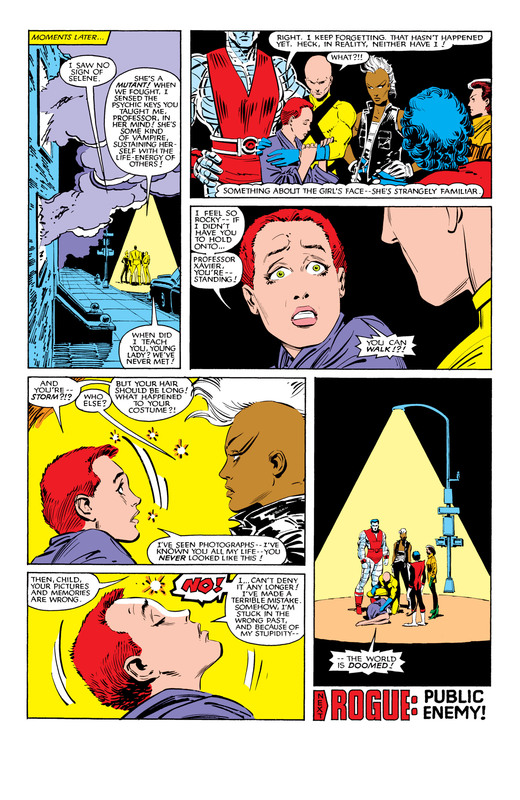 This entry was posted in black queen, Colossus, colossus, Marvel Comics, Rouge, Uncanny X-Men, Versus and tagged charles xavier, comic books, Marvel Comics, rachel summers, selene, uncanny x-men on April 10, 2016 by lowbrowcomics. "She's a Killer Queen, gunpowder, guillotine, dynamite with a laser beam, guaranteed to blow your mind!" - Freddie Mercury, Killer Queen 1974. 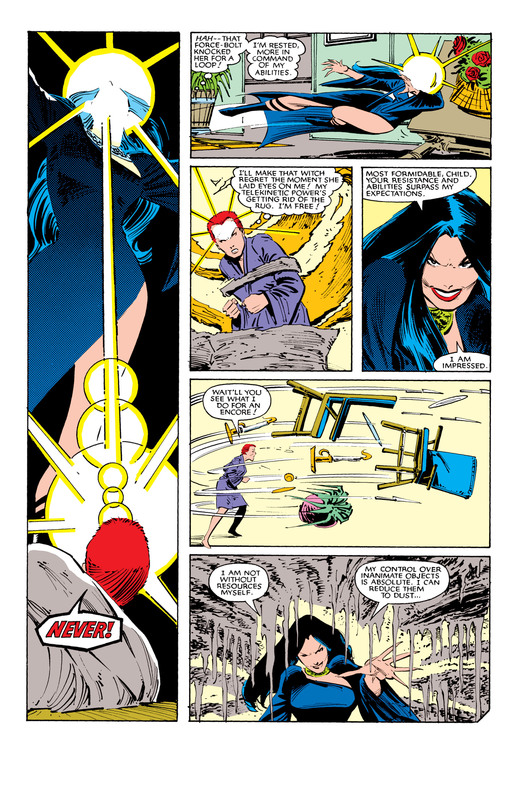 A short list of some of the most dangerous women in the Marvel Universe…. The Killer Queens. Selene was born 17,000 years ago in central Europe, “After the Oceans swallowed Atlantis” and “Before the rise of the sons of Aryas”. Selene’s mother was young when she bore her, but would be dead before Selene spoke her first words. The tribal elders ordered her mother’s people to sacrifice themselves to Selene until none remained. They thus gave her sustenance and her name. 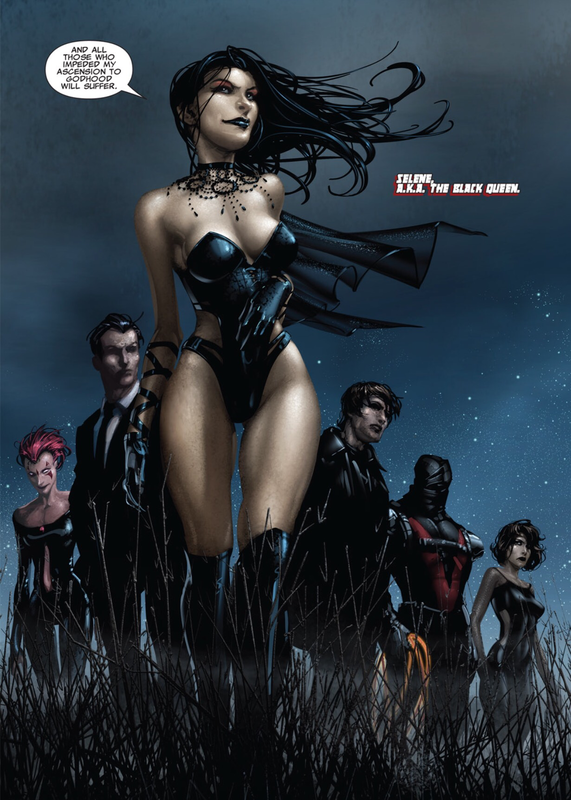 Selene gathered mutants with deadly abilities, including Wither, Senyaka, Blink, Mortis, and of course Eliphas. They traveled around the world, reanimating long dead friends and foes of the X-Men, before journeying finally to Genosha, where 16 million mutants had been killed by Wild Sentinels sent by Cassandra Nova. Emma’s beauty and talents brought her an invitation to join the Hellfire Club, an elite social organization of the world’s wealthy and powerful figures, as a stripper. 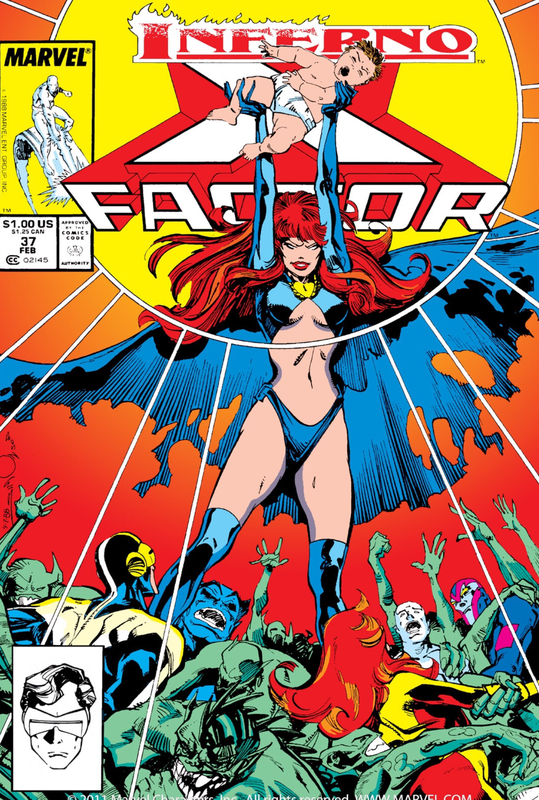 As a dancer/stripper at the Hellfire Club, Frost was approached by Professor Charles Xavier and Dr. Moira MacTaggart to join a new team of X-Men. 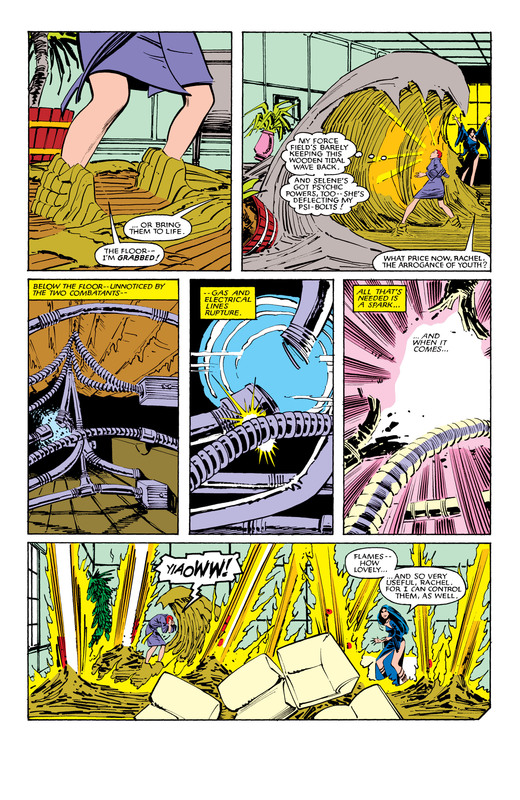 Under Shaw and Frost, the Inner Circle was dominated by superhuman mutants. 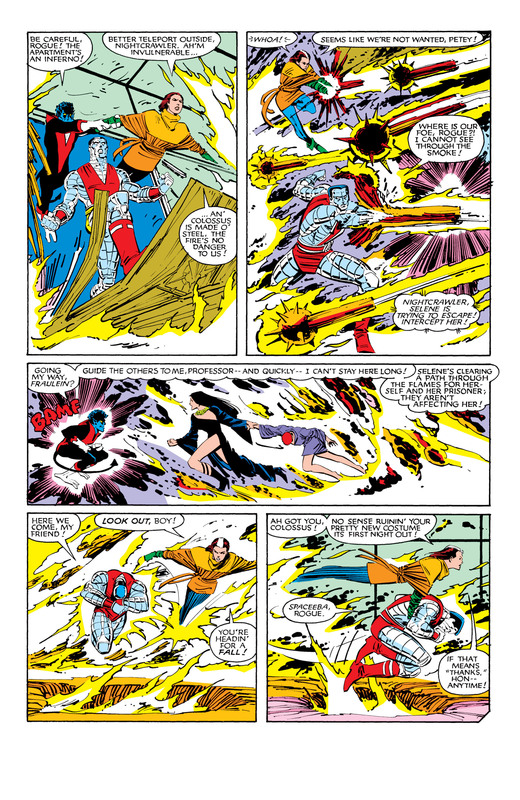 Frost recruited young superhuman mutants and trained them in the use of their powers at her school, so that they might use those powers on the Inner Circle’s behalf. 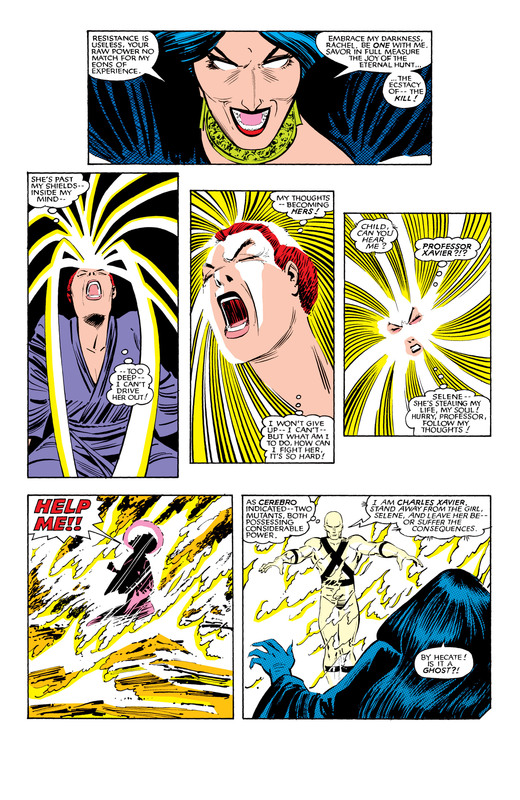 Madelyne always bore a striking resemblance to the (then) presumed deceased Jean Grey. Numerous individuals mistook her for Jean reborn. 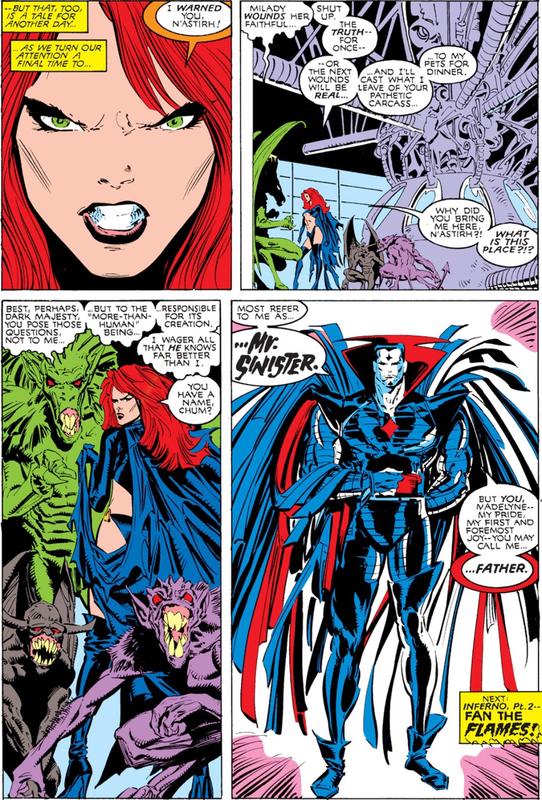 In reality, she was a clone of Jean created by Mister Sinister. In her dreams, Maddie was approached by the demon, S’ym, who toyed with her self doubt and tempted her with great power. 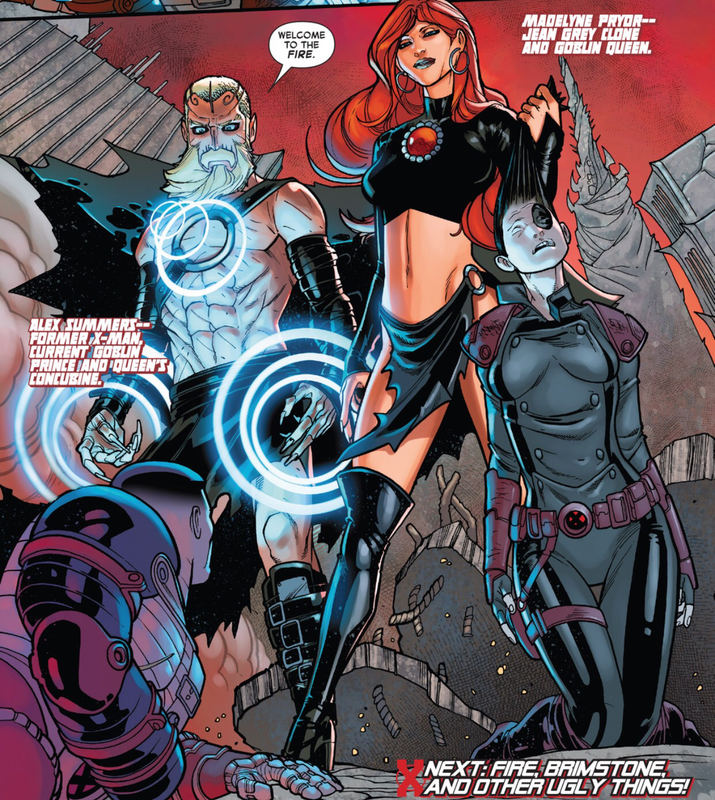 Madelyne slowly lost herself to the dark side of her personality and manifested a black tattered uniform. 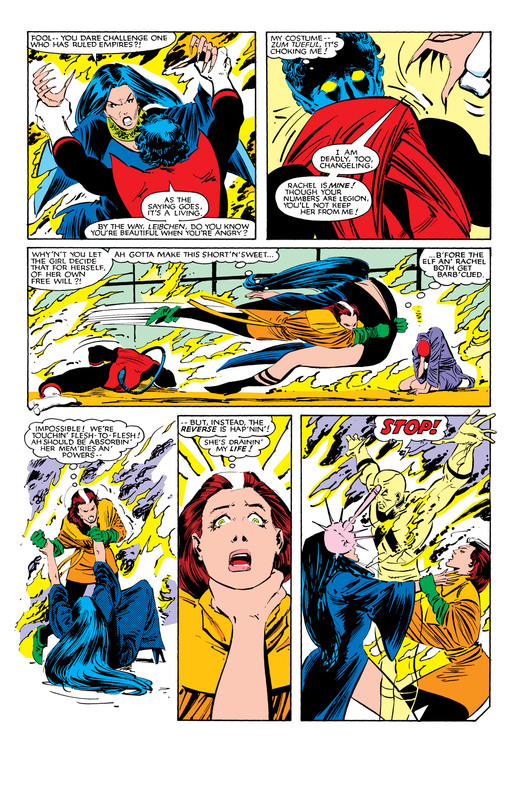 Mr. Sinister found that a union between the X-Men, Scott Summers (Cyclops) and Jean Grey (Marvel Girl), would produce a powerful mutant. Sinister hoped he could control such a mutant and use it to defeat Apocalypse. 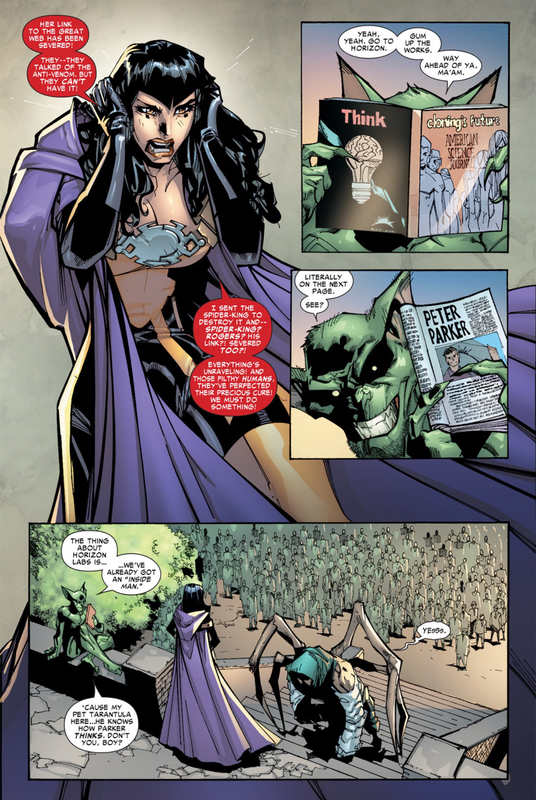 Madelyn Pryor returns as the Goblin Queen to Battleworld. In the early days of World War II, Adriana “Ana” Soria joined the Women’s Army Auxiliary Corps. Fearing that America was not powerful enough to contain Japanese and Soviet ambitions, efforts were made late in the war to resume the Super-Soldier experiments that had produced Captain America. Later on, she fought against the cured Captain America, and almost defeated him. However, Venom managed to fatally wound her with Captain America’s shield. 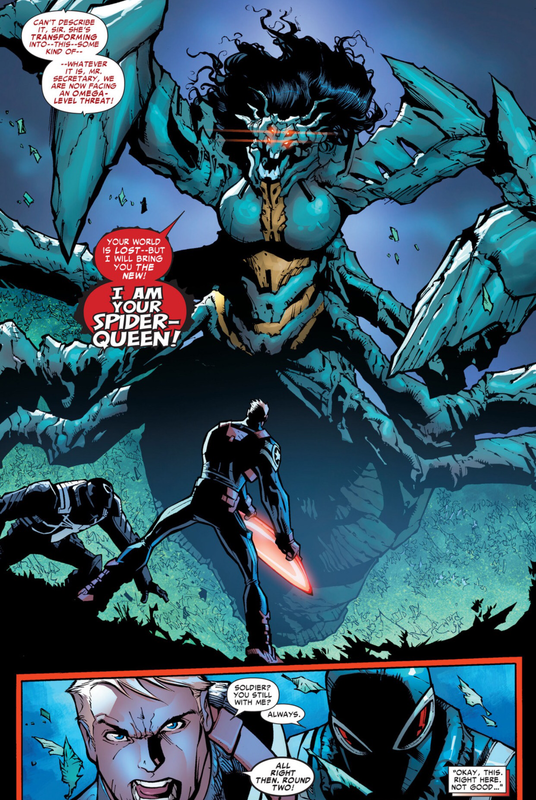 Suddenly, she started to mutate into a twenty-eight stories tall spider-monster, drawing power form all the mutated New Yorkers. While she was fighting off dozens of superheroes, Spider-Man used Doctor Octopus’ old octo-bots to distribute the cure to the millions of New Yorkers. 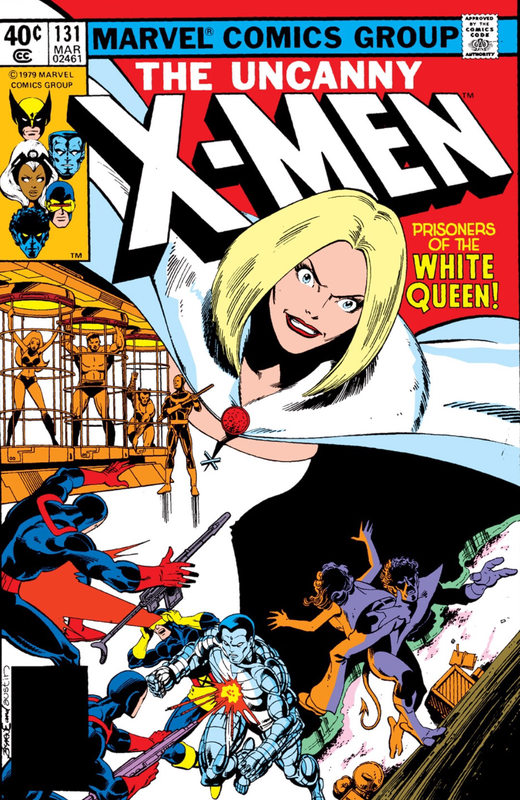 This entry was posted in black queen, emma frost, goblin queen, red queen, spider queen, Uncanny X-Men, white queen and tagged 2, amazing spider-man, betsy braddock, emma frost, madelyn pryor, psylocke, selene, spider queen, x-men on June 3, 2015 by lowbrowcomics.